Gene Breshears has been involved in publishing and small press activities (sometimes extremely small press) since the age of 12. He made his first fiction sale at 16 but has since discovered that working as a Technical Writer, Graphic Artist, and Information Architect pays better yet leaves him enough time and energy to pursue his creative interests. Born in a small Oklahoma town that was inexplicably located in northwestern Colorado, he attended 10 different elementary schools in four different states, two high schools in different states, then finally abandoned his family’s gypsy lifestyle to finish a bachelor’s degree in Mathematics in Seattle–where he settled because he likes the rain. 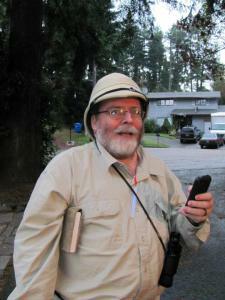 Gene writes science fiction, fantasy, and mystery. Sometimes all at once. Most of Gene’s science fiction has been published in Tales of the Tai-Pan Universe, which is a shared anthropomorphic science fiction universe. Gene’s fantasy has been divided between fairy tales, Christmas ghost stories, and the world of Sealth City. The Sealth City setting is an anthropomorphic spin on epic fantasy conventions, delivered in light fantasy wrapper. Gene lives in Seattle with his husband, Michael. In his spare time he writes, composes music, walks, tries to raise roses, and is President and Editor-in-Chief of the non-profit Tai-Pan Literary & Arts Project.